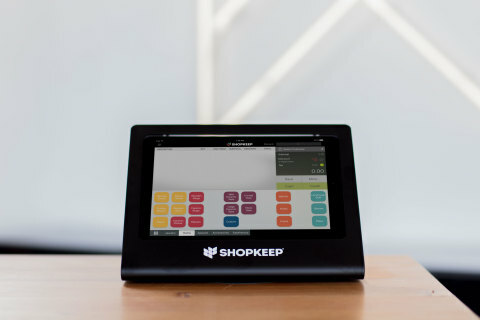 NEW YORK--(BUSINESS WIRE)--ShopKeep, the top-rated tablet-to-cloud payments and point-of-sale platform chosen by over 25,000 independent retailers and restaurants, announced today that it has closed a $65 million round of equity and debt financing. The round was led by Tribeca Venture Partners, who also led the company’s “A” round in 2011, and included all of ShopKeep’s existing major investors. ShopKeep also welcomes First Data Corporation, a leader in payment processing services, and Salesforce Ventures, Salesforce’s global corporate investment group. The debt financing portion of the round was provided by ORIX Growth Capital and Square 1 Bank, a division of Pacific Western Bank. With small businesses across the U.S. accelerating their adoption of modern cloud-based point-of-sale and payment processing solutions, this latest round of investment affirms ShopKeep’s opportunity to expand its position as a leader in the space. As the company approaches its first profitable quarter, ShopKeep maintains its mission to build software that is highly intuitive and simple to use, yet powerful enough to serve as the core operating platform for small independent businesses. The company plans to use the new capital to fuel ongoing growth initiatives and to expand into additional business segments across a broader range of services and geography. Initiatives include expansion of its recently launched ShopKeep Capital service, which provides working capital funding for ShopKeep customers, extending the capabilities of the company’s new Android-based platform, as well as the exploration of international markets. “We are extremely fortunate to be backed by some of the top investors in both FinTech and SaaS. With the latest investments from Salesforce Ventures and First Data, ShopKeep has firmly established its position as a leader in SaaS based point-of-sale and payment platforms. With our recurring revenue almost tripling in the past 3 years, the small business community continues to show incredibly promising - and accelerating - growth potential. ShopKeep will continue working tirelessly to deliver small business owners with technology and digital tools to fuel their businesses and compete in today’s marketplace at all levels,” said Michael DeSimone, CEO of ShopKeep. Point-of-sale platform, ShopKeep, announced today that it has closed a $65 million round of financing, led by Tribeca Venture Partners.